So you're attending your next marketing meeting, and you're dreading it, the CMO wants to know why conversions are done and more importantly what you and the team are going to do about it. It's time to throw out some buzz words like marketing automation, retargeting and drip campaigns and that's usually where it stops. If you do not have a robust CRM structure in place or any CRM for that matter, then forget about a drip campaign. Get the basic infrastructure in place before you pull out the big guns. You will need at least six months worth of data before pulling the trigger on a drip campaign. Implementing a drip campaign can be a pain, you will need multiple templates, logic on when each one needs to be triggered, and finally, you need to manage the data and response rates of the campaign. A winning drip campaign strategy needs plenty of work and if your resources are thinly stretched you're simply not going to get the most out of it. 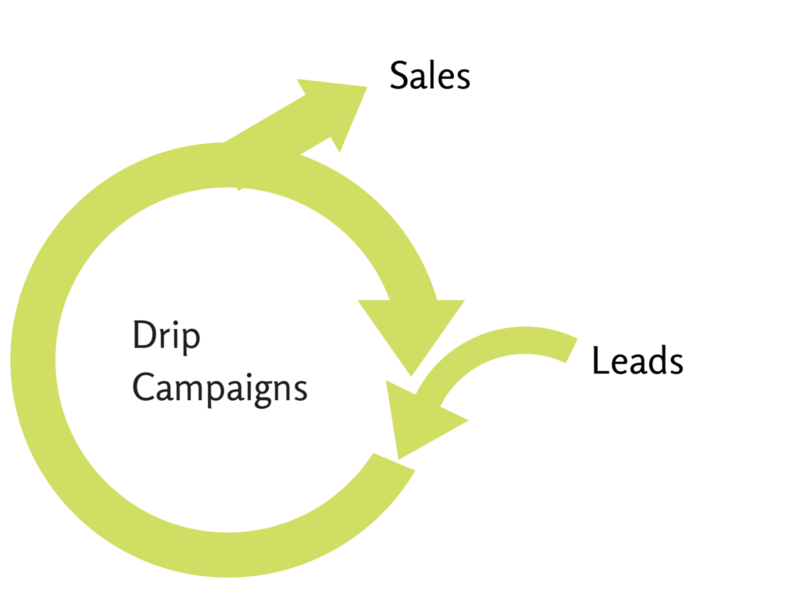 What exactly is a drip campaign? By definition, a drip campaign is a method used in direct marketing (normally Emil) to acquire customers through lead nurture programs. It involves sending marketing information to prospects repeatedly over long periods of time in order to nurture prospects or leads through the marketing funnel. If that definition is a bit too technical for you, then I'll break it down for you. Have you ever signed up for something, like a white paper, or free trial account and when you didn't act anything after that you would begin to receive emails at regular intervals? Those are called "Drip" campaigns. The marketer sets up a series of email campaigns and sets them apart at timed intervals. After a "trigger" of some sort (like when you sign up for something), the emails start dripping into your inbox. When expectations are set, and when the content is actually useful, drip campaigns are a really powerful tool to have in your marketing arsenal. What are the benefits of a drip campaign? Lead nurturing is a marketing term for staying in touch with a potential client who might be interested in what you’re offering but isn’t ready to buy. Building an email campaign that automatically launches when a prospect or customer takes action makes your marketing efforts much more comfortable to maintain and more accessible to track. A research study by Silverpop found that the open rates for drip emails are about 80% higher than single sends. Silverpop’s research also found that click-through rates -- the percentage of those who click a link in your email to learn more about your offering -- are higher in drip email campaigns than single sends too. Since you are sending people exactly what they want at a particular time, they’d be more welcoming of what you send to them. What sort of drip campaign are popular? 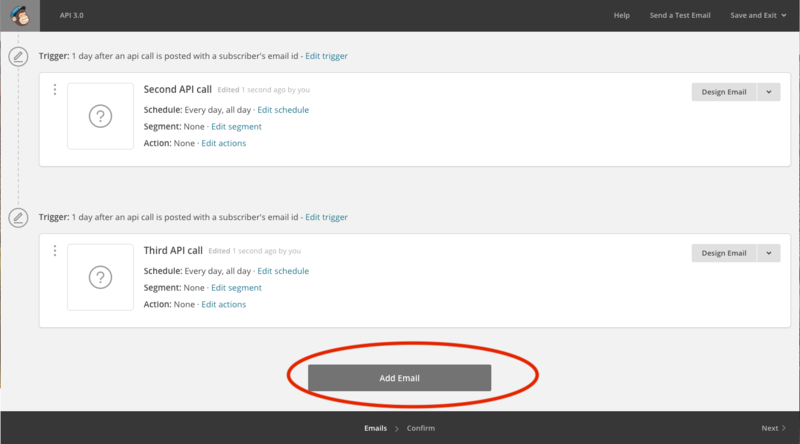 How to set up a drip campaign with MailChimp? As I've mentioned before drip campaigns can be notoriously painful to set up, especially when you need different tools to communicate with one another. Setting up custom triggers and integrating systems to fire off at the correct times and getting your developers to understand this will do your head in. Thankfully, MailChimp has put together a simple and easy to use drip campaign function be it rather rudimentary and not very flexible it does provide users with the opportunity to set up a basic drip campaign. Once you've completed the process, click add mail and repeat the process. Remember each time you add a new mail to the sequence you will need to update the content and messaging. Maybe offer a discount, increase the urgency or announce something new to entice the user. The messaging is really up to you! Drip campaigns are known for two things, being tedious and painful to set up and manage but also being really effective in improving retention, conversion rate and average spending per basket. However, it doesn't mean you will capture 100% of the customers who were not eager to buy from you in the first place. Drip campaigns are also great for brand awareness. Even if the prospect doesn’t end up buying from you, a series of highly relevant emails will make sure that they remember you when they do need to buy what you sell. 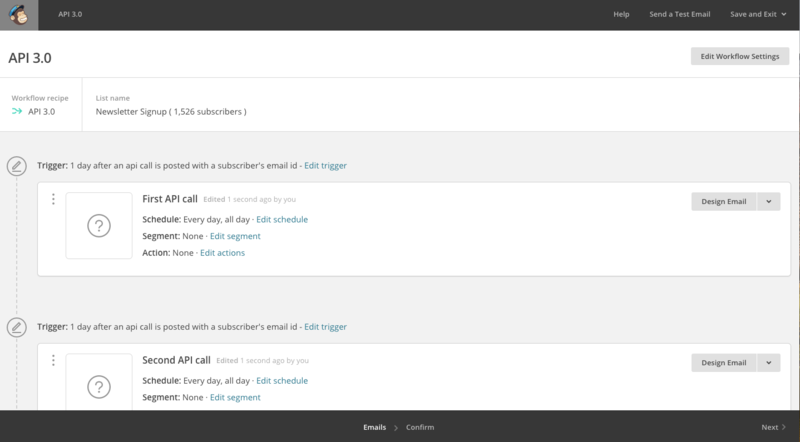 So there you have it, how to set up a drip campaign with MailChimp. Now it's up to you to combine great triggered emails with well-structured and targeted content for these remarketing campaigns and get more customers coming back more often. How to update your Google Analytics or Google Tag Manager settings to properly track visitors across all your subdomains.